With changes being witnessed within the supply chain, logistics, and distribution spaces choosing the right provider can be a difficult and cumbersome process for businesses. Owning to technological advancements, increased carrier movements, and heightened delivery models, providers now can take up many different shapes and forms. For businesses it is imperative to understand their own specific provider needs and requirements as well as what they would like to expect from a provider. Unfortunately, many businesses have experienced problems with their providers and have borne the brunt of these through either financial losses, diminished reputation, or worse, negative customer service levels. With these significant implications in mind, businesses need to first take stock of what they would like their provider to do vis-à-vis the business and what exactly their capabilities are. This is where the level of the provider comes into play. From 1PL to 4PL (and even beyond) the scope is vast. It is clear that businesses need to carefully understand what each “party” stands for before making any decisions that could significantly impact the entire supply chain management. The simplest and most basic logistics enterprise, which moves goods from one location to another. As the levels increase so does the responsibility. The 4PL model gives all of the activities of the logistics to an external party. This includes not only the execution of the supply chain but also responsibility and management. Such providers directly work with the company’s organization and inventory in terms of strategic inputs, long-terms goals, and business operations and functioning. 5PLs are a direct result of current technological innovations and rely on newer methods to optimize the supply chain. Such providers explore and leverage the use of blockchain technology, RFIDs, AI, Bluetooth, automation among others to create solutions, which are new-age and ahead of the curve. At present such providers are still not the norm and have not entered the mainstream market. With this in mind it is clear that as provider level progress the amount of responsibility handed over to the logistics provider increases. For the sake of today’s most commonly-used providers – 3PLs and 4PLs – each one has its own distinct advantages and disadvantages. The most common provider level, 3PLs have been tried-and-tested and at present and are the go-to supply chain method. There is just enough role and responsibility for both parties without infringing on each other’s roles. In fact a well-working 3PL can create a seamless, efficient and effective logistics partner. However, businesses need to realize that some direct control will be lost. This means keys areas like customer service and reliability can suffer. Here, customers expecting impeccable service, will raise their voices at businesses, leaving providers largely unscathed. 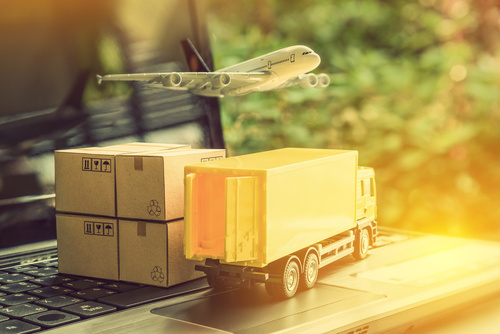 Further, when looking to revamp operations the 3PL model can become difficult when changing providers or looking at taking back some of the work in-house. The jump from 3PLs to 4PLs stems from the use of the phrase “a single interface” coined by the global consulting firm Accenture. Here, businesses are looking at long-term, strategic, high-performance logistics providers. In many cases, 4PLs do not own specific assets e.g. transportation, warehouse infrastructure, etc. but still manage the entire process. This does not matter to businesses as they rely on a single point of contact with the 4PL provider and communicate directly through a common dashboard (interface). This also frees up time for businesses to work on their core competencies knowing that they don’t have to look into the day-to-day running of their supply chain. Depending on the nature of the business both 3PLs and 4PLs have their strengths and weaknesses. 3PLs provide safety and security but the added responsibility of managing the supply chain in-house. 4PLs can take-over the entire logistics function but it can take time, effort and solid financial obligations to ensure the most appropriate provider. However, for more complex supply chain functions or for even bit part or agile functionality there are even niche 3PLs or 4PLs that can be used. Again this can be used as per specific business requirements, their models, financial health, and long-term goals. What is clear is that finding the right provider is crucial to the success of the business – not just profitability and bottom line – but also customer satisfaction and reputation as well. In today’s highly competitive business environment every decision needs to be made with great care as it could make-or-break a business. It should be ensured that the provider – whether 3PL or 4PL – meets the exact requirements of the business, clearly understands its aims and goals, and can undertake, meet, and exceed expectations across the entire supply chain.